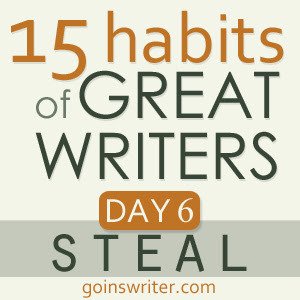 It's Day 6 of Jeff Goins's Great Writers series and I giggled when I read today's challenge: steal. Find a quote or a painting or some form of inspiration — and steal it. Make it your own. Attribute it — give credit where it’s due — but don’t be afraid to use it. Let someone else’s work springboard you into your own. Give up on your pursuit of originality and genius and just find something that inspires you. Borrow from your friends and heroes and mash it all up into something that looks, feels, and sounds like you. This amused me because of the conversation I recently had with my boyfriend who's a DJ. 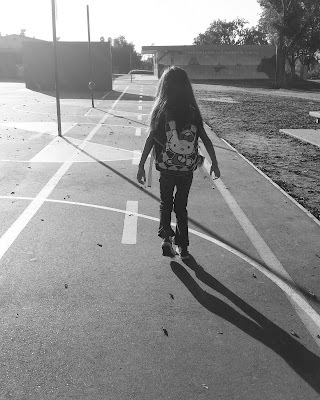 I was frustrated with my street photography because I thought my photos were bland and unoriginal. I complained about having to step my game up but not having fresh ideas. My DJ boyfriend suggested I do what is known in the hip-hop culture as "flippin'." To basically take an original cut of a song and flip it to create something fresh. I argued that it was stealing because it wasn't an original idea. He mentioned how well-known rappers have gotten sued by musicians for sampling songs but it didn't stop them from creating hits that the general public went crazy for. I still wasn't convinced that it was okay so imagine my chagrin when reading Picaso's quote and today's challenge. Now I'm going to have to hear "I told you so!" from my boyfriend for the millionth time! After much speculation I realized that a majority of my blog entries were born from inspirational quotes. I'll read a quote that someone posted on Twitter or Facebook, bookmark it, and write about how the words pertained to my experiences. I've also posted and written my own quotes but no one has tweeted them yet. I suppose my wisdom is only worth sharing posthumously. A few days ago I had a blog entry brewing in my foggy head after my sister recently gave me a cool t-shirt. I gasped and cried out that it was SO me! From Popeye's "Strong to the Finish" the thoughts of a future blog entry began churning in my brain. That happens often after I've read a quote that slammed my heart. Sometimes, it's a bible verse that I'll write down in my journal and elaborate on how my perspective shifted because of it. So I'm not the O.G. gangsta writer I thought I was. With the excess pressure of being original lifted from my shoulders I can only hope that my writing will reach new heights. Thanks, Jeff Goins!